Speaking to Japanese K-Tai.Impress Sony Mobile's Creative Director, Director of Product Planning and UX General Manager, Yoshiro Kurozumi, addresses the early rise to the throne by the Xperia Z2 and why he thinks a half a year upgrade cycle is a better fit for this industry. According to him, in order to maintain the flagship status of the product, you must upgrade it faster to keep it competitive. 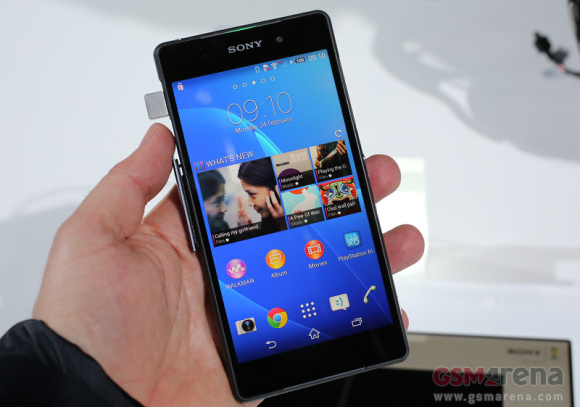 He went on to confirm that the Xperia Z2 will likely be Sony's flagship for only the first half of 2014. He also commented about design, saying Sony doesn't want to rely on a single design, which could mean the company will perhaps move away from its OmniBalance design language, which has dominated the Xperia line so far (including Z, Z1 and Z2, compact and ultra included). And while we can extrapolate from Mr. Kurozumi's words that Sony will be releasing its next flagship some time in Q3 or Q4 of 2014 and that it may feature a new design, we truly hope Sony will at least continue to update its Z and Z1 flagships for the sake of those users, who have purchased these devices for a handful amount of money (all of which are still waiting to receive Android 4.4 KitKat). it has been released, plus you could've pre-ordered it before the release from a Sony branch and you would get the device in one week.